Hey everyone! So for this spotlight I speak to Dan Nixon Lines, SHIELD Airsoft manager and Krytac Specialist! So Dan, how long have you been in Airsoft? What originally got you into the sport and what do you love about it? My Airsoft background? I started in 2009 playing in Bristol Courthouse using a trusty G36. I started my career playing solo for over 2 years before I roped my friend into coming to a game using some of my spare kit. He was hooked so I finally had someone to regularly shoot with. My Airsoft career spiralled from there. We started playing at Swindon CQB (now closed down) and met more good friends along the way and formed my old team House of Wolves Airsoft. 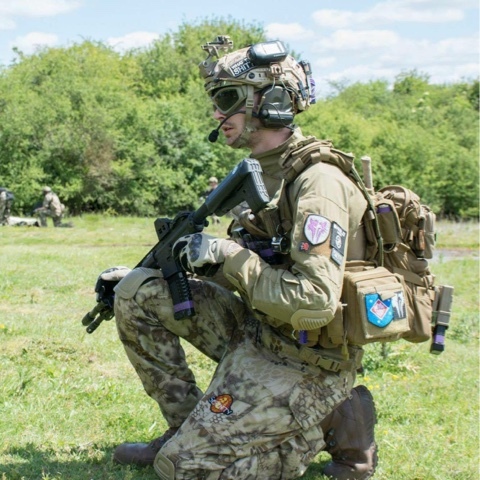 The team grew and we gained sponsorship from Stitch me up, Cloud 9 and SHIELD Airsoft, the distributors for Krytac in the UK. 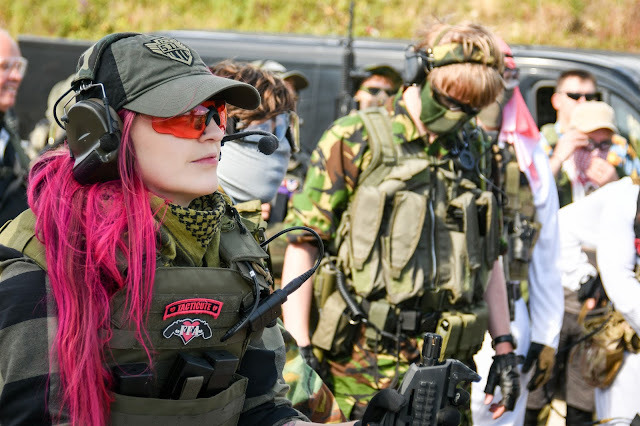 At the time our home site as such was Ironsight airsoft in Andover. I followed in SHIELD PSD’s footsteps and with their guidance took on shooting real steel up to 7.62 on a 100m range. I then took on the SHIELD Airsoft team full time which consists of House of Wolves members and Key SHIELD PSD members. Through SHIELD we have been taught new tactics, had real steel training and are being taught real world tactics that we are trying to use in Airsoft. The most memorable site I have played has to be Imber MOD training village. 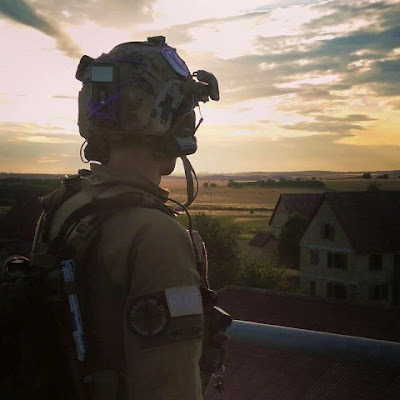 Awesome site perfect for MilSim and the perfect place for large scale combat. My play style is closer to MilSim than anything else. As SHIELD PSD and SHIELD Airsoft we are trying to use more real world tactics and team play and get teams playing to a more MilSim style. We also offer team training on our private land. Details can be found on SHIELD PSD website for this. The days include tactical theory and practical training by us and current serving forces members. Range training is giving by the UK’s top leading shooters. What loadout do you run? My weapons of choice are my Krytac SPR, KWA KRISS Vector and M&P compact as my side arm. My loadout is a Flyee 6094, I carry 7 low cap hex mags, 7 pistol mags, an Alpha Tec Hex grenade and an Oshi Boom impact grenade. My load out also has a radio, admin pouch, helmet set up, all the usual kit you would expect to find. Do you have any advice for players? If I was going to say anything I would say love the sport you play and play honestly. The game is a game of honour and too many times I witness players shouting at each other for no reason. Love the game and treat the game and players with respect. Where can we keep up to date with SHIELD and the team? For the SHIELD Airsoft Facebook page, follow the link below and you can also follow us on Instagram at @shieldairsoft.